From sponsored content to ambassadorships, what are the most effective types of influencer marketing? From the mouths of influencers themselves, they share exactly what their audience like and, in turn, provide you with what it takes to get the most out of your influencer marketing strategy. Check out this quick pocket guide to get these insights and more. Influencer Marketing is now part of the everyday marketing mix. It’s the next evolution of social media marketing. Influencer Marketing helps brands become more human by connecting them with consumers through authentic storytelling. It’s true! Influencer marketing and customer engagement are a match made in marketer’s heaven. But which forms of influencer marketing provide the biggest return for brands? 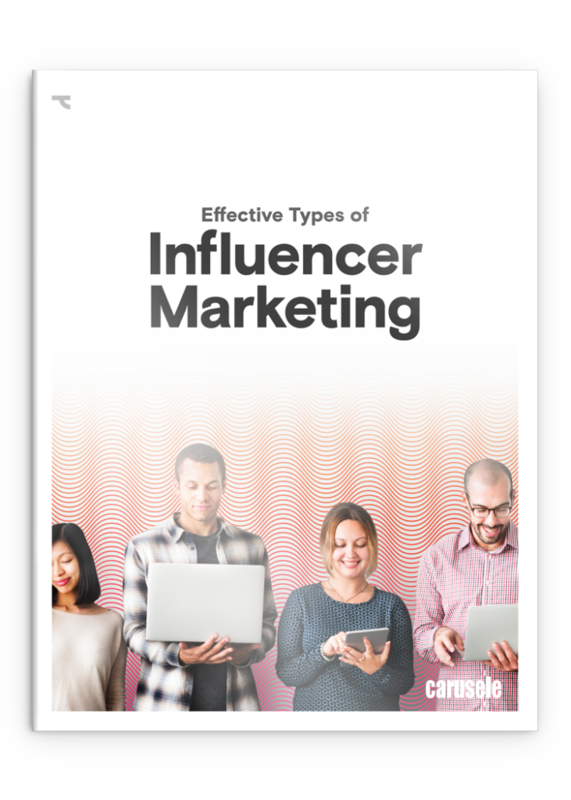 Download our free Pocket Guide: Effective Types of Influencer Marketing and discover the disconnect between what marketers view as the most effective type of influencer marketing and how they actually engage with an influencer’s audience.